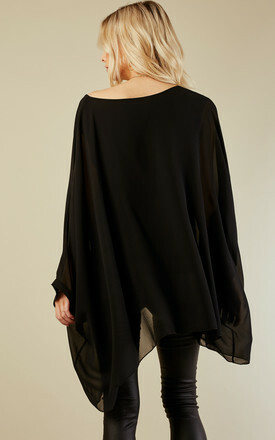 Stay comfy but glam in this floaty cape top. Perfect for lounging around, work or for dressing up with heels. This top is super versatile and flattering.